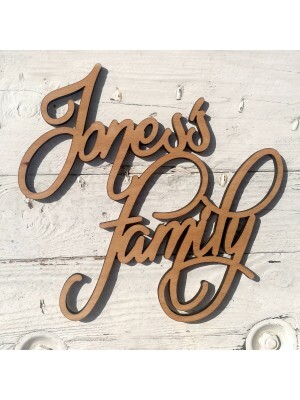 An original birthday gift - custom wooden name with an age of honoured person. 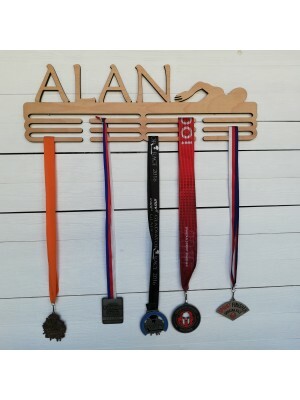 You can choose from various sizes- A4, A3 or A2. 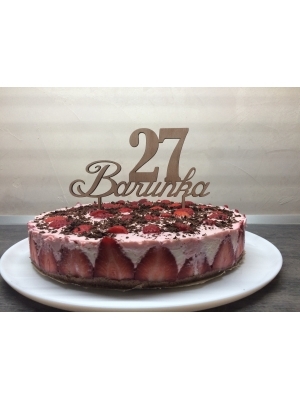 Just write down the name & age and wait for your delivery! 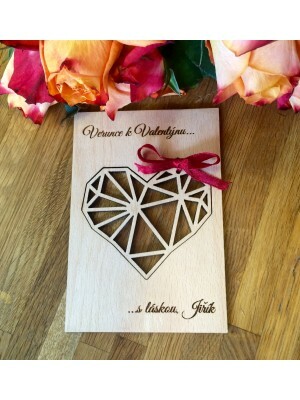 Wooden sign with its own text and with heart curtains. 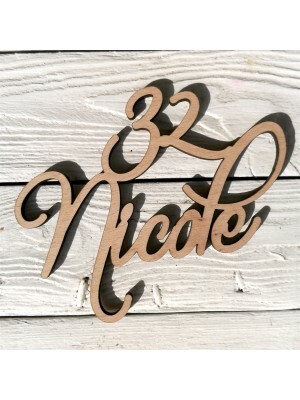 On the body of the sign you can invent your own text that will decorate your home. And hearts can carry the names of your closest ones. You can enter 3 - 9 hearts. 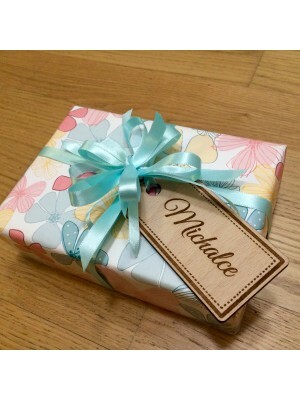 Wooden birthday balloon is an original guest book for your birthday celebration. Birthday party guests can leave you a unique memory written down on small wooden balloons. The name and age of honoured person are engraved on the basket of the balloon. Size of the balloon is 41 x 25 cm (4 x 2,5 cm smaller balloons x 34). 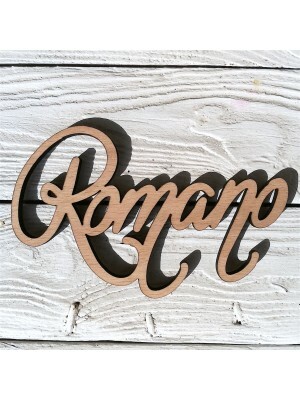 Wooden cake decoration - just write down the name and an age of honoured person! Size of the decoration is approximately 20 x 18 cm, depends on the required name. Thickness of the wood is 4 mm. 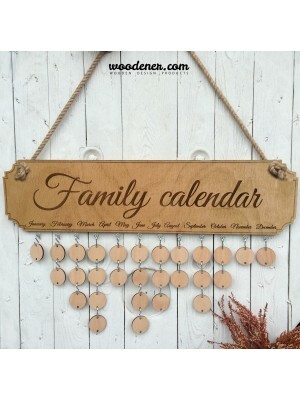 Wooden family tree is a beautiful home decoration. 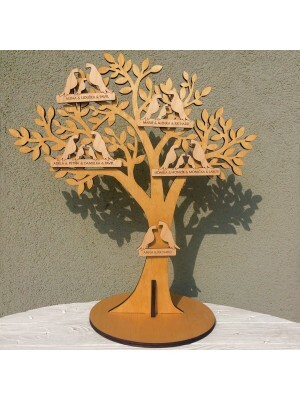 The tree can contain up to 10 flocks of doves which represent families. Just fill in the names of families and separate them by comma. The family tree decoration includes 5 flocks of doves which can be easily attached on the tree by applyied tape. The size of the family tree is 45 x 43 mm. 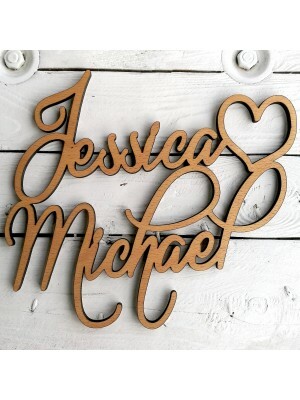 Make your home decor absolutely stunning with this beautiful wooden decoration " Infinite Love ", or surprise your loved ones with this decoration as a gift. 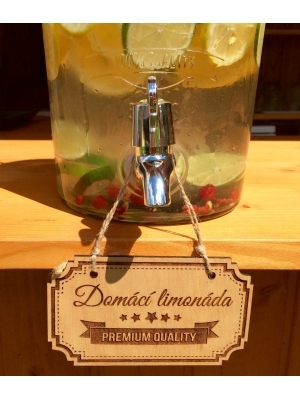 The size of this wooden decoration is 50 x 15 cm. 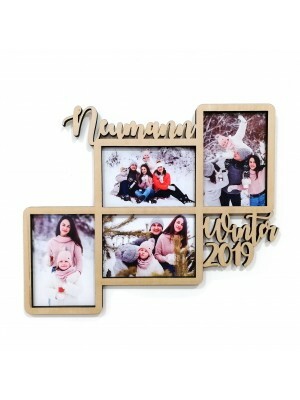 Make your home decor absolutely stunning with this beautiful wooden decoration "Infinite Family", or surprise your loved ones with this decoration as a gift. 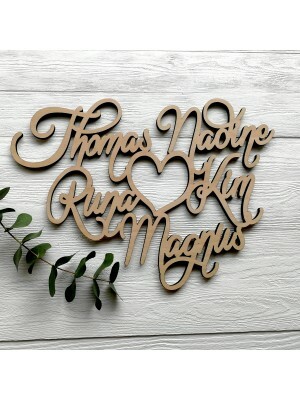 The size of this wooden decoration is 50 x 15 cm. 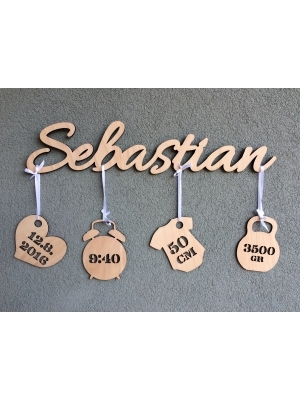 Decorate your gifts with these beautiful and original wooden gift tags. Size of the tag is 11 x 5,5 cm. 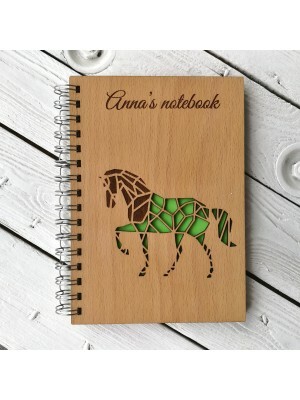 If you are ordering more than one gift tag, write down names which you want to have written on tags in the text field "NAME" and separate them by commas.